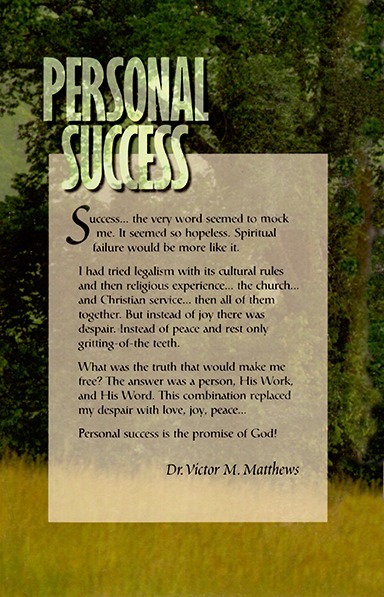 "Success... the very word seems to mock me. It seemed so hopeless. Spiritual failure would be more like it. I tried legalism with its cultural rules and then religious experience... the church... and Christian service... then all of them together. But instead of joy there was despair. Instead of peace and rest only gritting of the teeth. What was the truth that would make me free? The answer was a person, His Work and His Word. This combination replaced my despair with love, joy, peace... 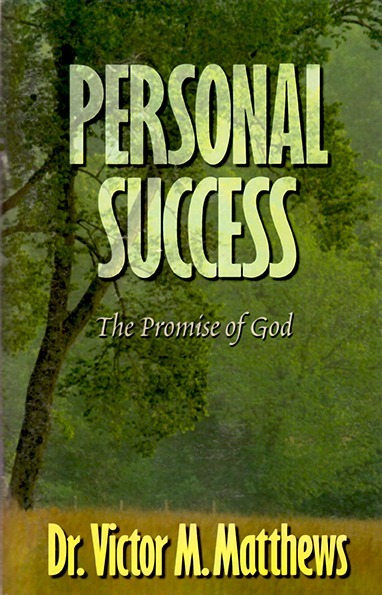 Personal success is the promise of God!"